The Gazette / Re: Spiderforest Collective open for applications! Yeah, on the whole I've had a good experience with the group! For me, it's been great having a community to turn to when I want advice or feedback and whatnot (or just camaraderie); for my comic, the boost in traffic doesn't hurt, though as I've been a member since like 2009 it's harder for me to quantify exactly how much it accounts for. The Gazette / Spiderforest Collective open for applications! For most of this month, the Spiderforest Webcomic Collective is open for new members! If you're interested in joining an active community of comic creators, come by and check it out! It's open to all genres (except erotica); you can find the application page here. Meep it's the last day!! Thanks! So far it's going really well! Hey all! 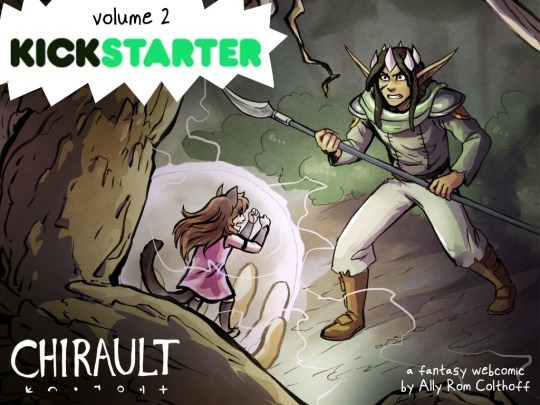 :D I'm Kickstarting the second collected volume of my webcomic right now, and so far it's going amazing! On top of the book(s) themselves there are some other cool rewards that won't be available after the campaign ends, so please check it out! 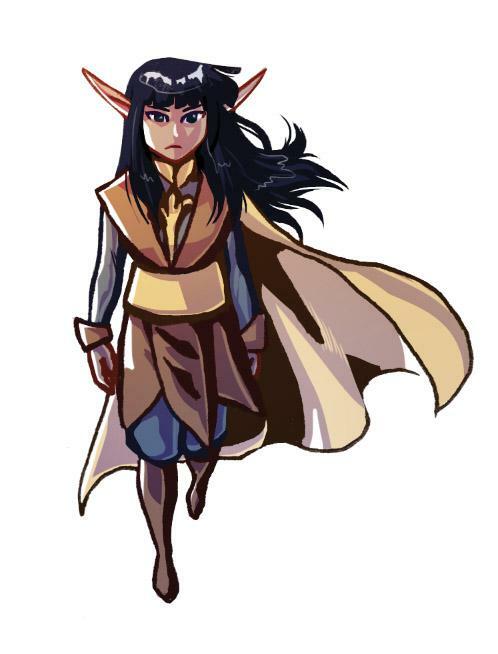 After the events of book one, Teeko and Kiran are no closer to finding a mage who could get Teeko unshrunk. Meanwhile, increasingly large and nasty monsters are coming from the dangerous lands to the west, and it's Kiran's job to stop them. That job may be starting to get too big for him, especially as his own powers start to escape his control. The Tavern / Re: Warning: Potentially undesirable Ad campaign targeting webcomics. I think it sounds like a good plan. Apparently they've got a new initiative to pay creators based on ad views, at a rate of about 10 cents per hundred views-- that actually sounds pretty good? Don't know much more about it in detail though. The Tavern / Re: Patreon? I've been running one for a little while now... I set it up to be monthly, as my comic updates frequently enough that doing it per-update might work out to a daunting amount of $$$ per month unless my rewards were in change increments (which doesn't look as appealing as round numbers). Extra art is also a good thing to have on hand, though I'm not sure if it's as much of a draw in itself as some of the other things. I can't believe they used the phrase 'direct competitors' to refer to THE ARTIST'S OWN WEBSITE, like.... wow. If that doesn't make it appallingly clear they don't care about the careers or wellbeing of the creators whose work they host, I don't know what does. The Gazette / Re: Elf Kickstarter has launched!